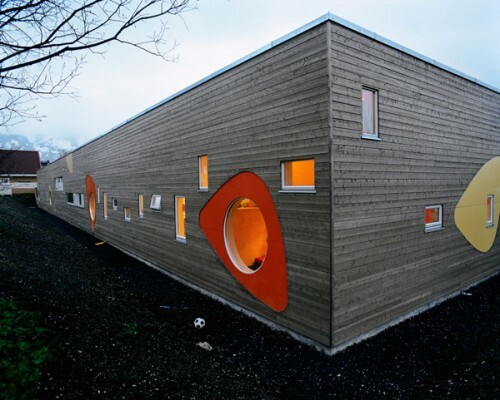 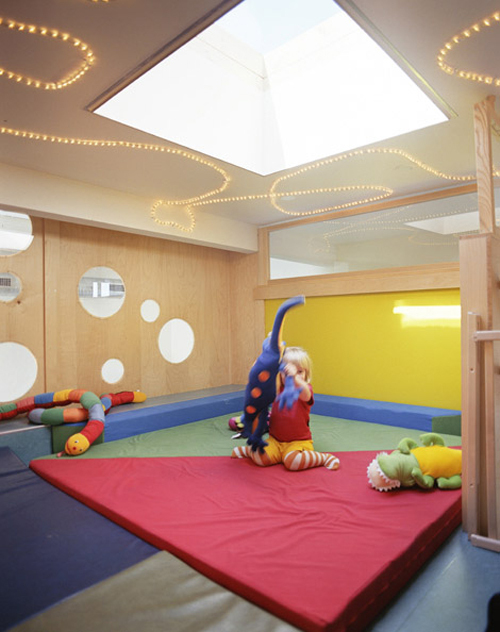 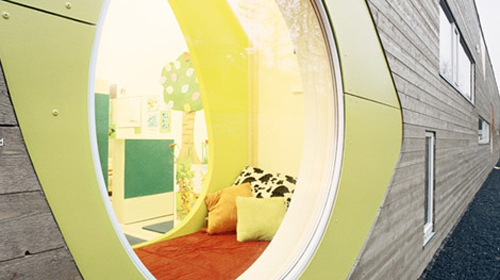 The use of natural materials, varied sized openings and complementary colours creates a child friendly design. 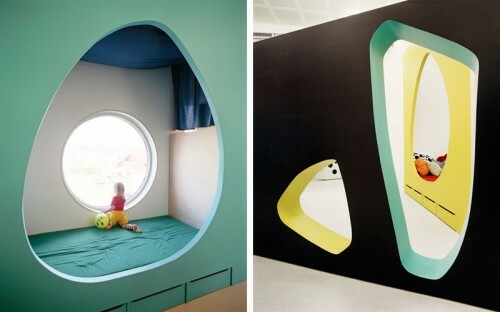 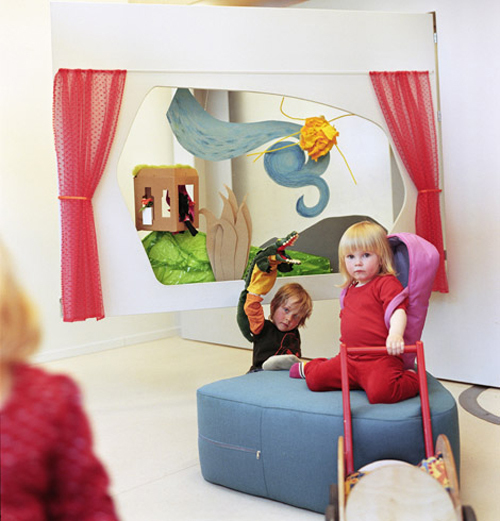 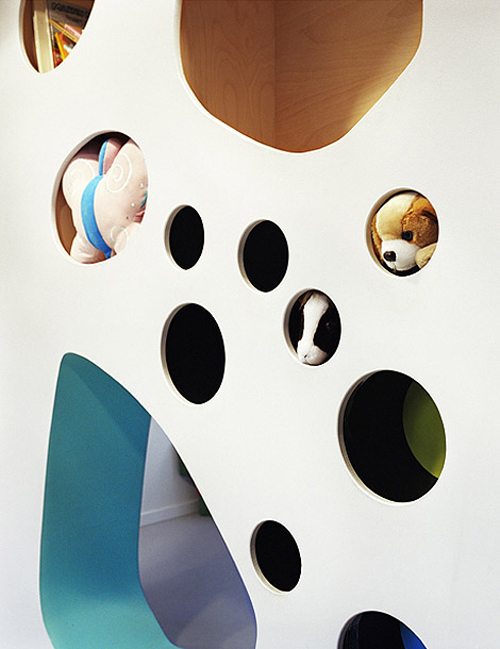 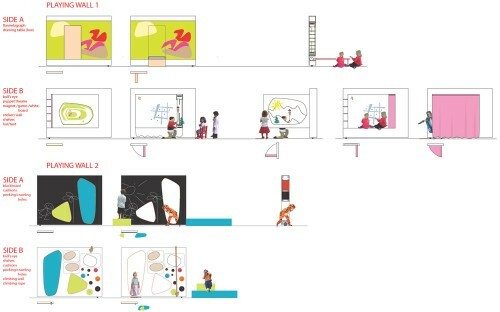 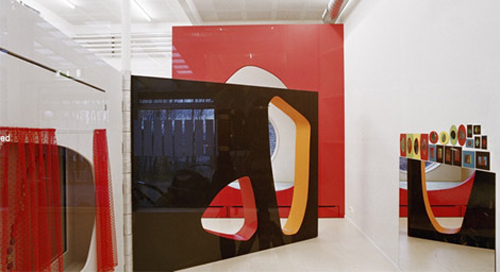 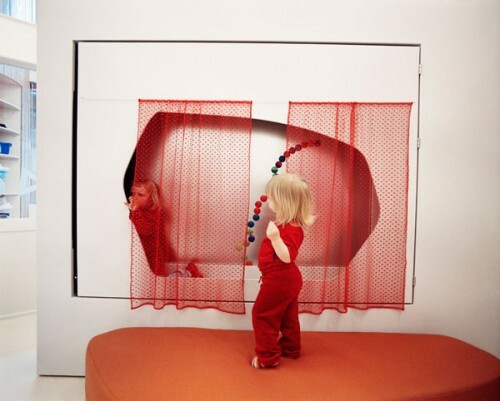 The interior 'play walls' are designed to be moved, to allow the space to be used in a number of ways. 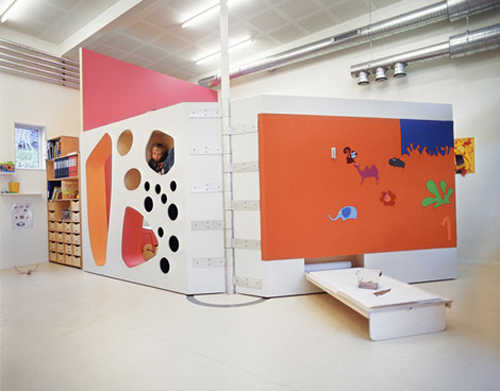 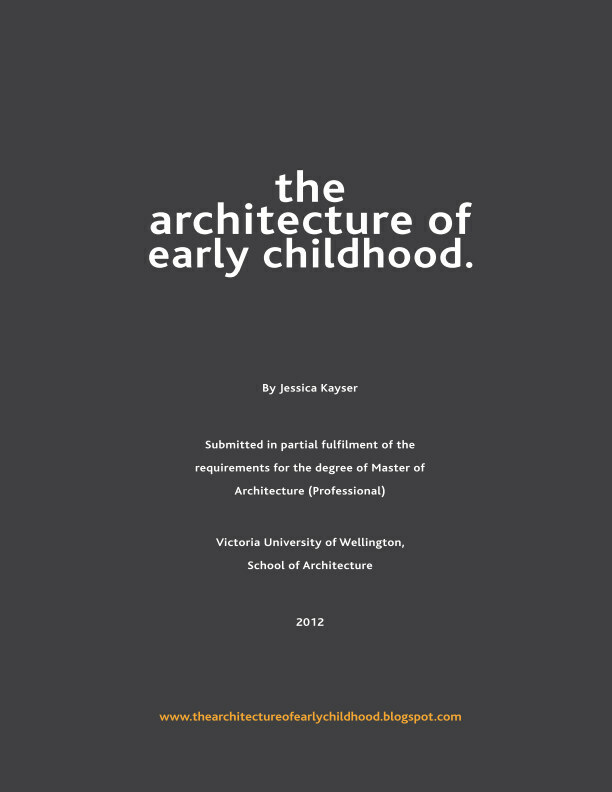 This approach to designing an early education centre shows the opportunity present for a modular 'set of parts' for retrofitting existing centres - enabling flexible components that cater for different functions, activities and experiences.